When: Sat., Nov. 9, 7:30 p.m. It's been 75 years since Truro-born soprano Portia White made her New York City debut with a legendary Town Hall show (that also featured history-making poet and Black activist Langston Hughes dropping verses, in the same venue where Billie Holiday made her name). 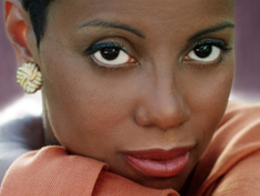 Here, Cecilia Concerts pays tribute to the iconic performance, with lyric coloratura soprano and Broadway star Harolyn Blackwell delivering a note-for-note tribute, complete with live piano backing.